Today too many good-hearted people in the world give their corrupted leaders and policy makers the benefit of the doubt, citing incompetence or pathological compassion when attempting to explain away the rapidly increasing destruction and decay of their western culture in major cities undergoing the agenda for Controlled Chaos. The systematic and methodical destruction of natural resources and civilized cultural settings, destroying or hiding beautiful masterpieces of art and literature, and the intended decimation of artifacts and antiquities highlighting previous ages of an enlightened human culture is not an accident. Controlled Chaos is based on subjecting individuals to sophisticated methods of a global Psychological Manipulation designed to reform and suppress the mass consciousness, by Shaping False Narratives that destroy Unity and Empathy within humanity. Divide and rule strategies encourage divisions, conflicts and chaos among the opposing groups to prevent the formation of strong alliances and unification that could challenge the power of the Controller or Ruler. This extends to the negative entities, such as the Luciferian or Satanic groups, that exert further control over their human representatives that have been socially engineered to carry out their divide and conquer agenda against the human race. Will Hurricane Florence inflict the level of catastrophic damage that is being forecasted? Will the “forecasted” stalling of Florence parallel the Hurricane Harvey scenario to some degree? Or will a last hour change of direction and weakening of the storm diminish some or much of the predicted impacts? In either case, climate engineering is the core part of the equation that is not being acknowledged by any official source. Though nature is increasingly spawning hurricanes / cyclones due to Earth’s rapidly warming seas, massive global climate engineering operations (and associated technology) are increasingly able to manipulate and steer such storms. Early on forecasters somehow knew Hurricane Florence would follow a nearly straight line course to a specific region of the US East Coast. How did they know? Because they are reading a script that is passed down to them from up the ladder. A script that ultimately originates from climate engineering contractor Raytheon who does all the modeling for the National Weather Service (NWS) and the National Oceanic and Atmospheric Administration NOAA (both government agencies have an illegal federal gag order on them).Weather warfare continues to be ramped up around the world, Hurricane Florence is only one example of hurricane / cyclone manipulation. Super Typhoon Mangkhut is predicted to possibly become the most powerful storm since record keeping began. Mangkhut will impact the Philippines and even Hong Kong. Will US mainstream media even cover this? How many other dire global news issues will be omitted due to the coverage of Hurricane Florence? Is that a part of the agenda being carried out? Though countless forms of human activity are decimating and derailing the climate system, geoengineering programs are single greatest climate disrupting factor. The continued mainstream media cover-up of illegal climate engineering operations makes them accessories to these crimes. 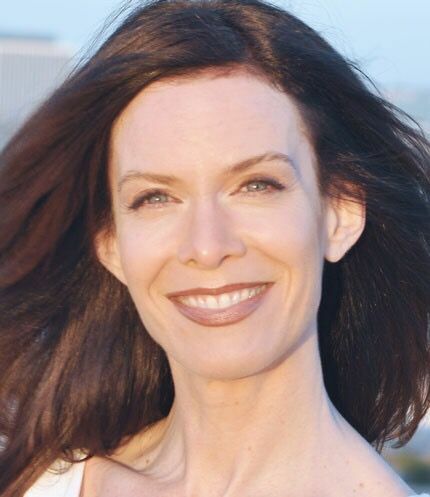 Lisa Renee experienced a spontaneous kundalini event several years ago that catalyzed a “Starseed Awakening” to perceive multidimensional realities and communication with the Evolutionary forces of Light. This entry was posted in Uncategorized and tagged controlled chaos, divide and conquer strategy, Lisa Renee, love, Luciferian strategy. Bookmark the permalink.